Why Hire a Wedding Planner or DOC? The UnRuffled Bride's goal is to help couples relax so that they can enjoy and most importantly remember their weddings. The most common complaint among married couples is that the one day they have been waiting for all their lives, they can't remember because "it's all a blur". Not remembering one's own wedding is due to not having fun. Not having fun is due to the stress of planning and coordinating one's own wedding and not to mention the handling of all family dynamics before and during your wedding day. The UnRuffled Bride team strongly believes that our customer's needs are of the utmost importance and are committed to meeting those needs. We treat every event as if it were our own, with class, dignity and pride. Let us worry about all the little details. 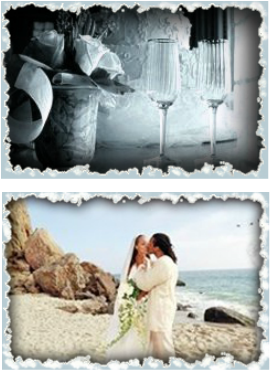 All you have to do is say “I Do” and have an UnRuffled, memorable and joyous wedding experience. We look forward to working with you and delivering you the best service in the industry. Congratulations and let the fun begin!